Julia and Valentina Poole are normal American teenagers - normal, at least, for identical 'mirror' twins who have no interest in college or jobs or possibly anything outside their cozy suburban home. But everything changes when they receive notice that an aunt whom they didn't know existed has died and left them her flat in an apartment block overlooking Highgate Cemetery in London. They feel that at last their own lives can begin... but have no idea that they've been summoned into a tangle of fraying lives, from the obsessive-compulsive crossword setter who lives above them to their aunt's mysterious and elusive lover who lives below them, and even to their aunt herself, who never got over her estrangement from the twins' mother - and who can't even seem to quite leave her flat. 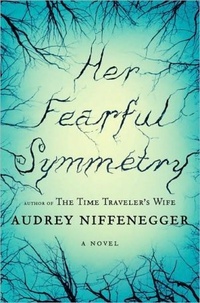 With Highgate Cemetery itself a character and echoes of Henry James and Charles Dickens, "Her Fearful Symmetry" is a delicious and deadly twenty-first-century ghost story about Niffenegger's familiar themes of love, loss and identity.